Many boat owners like to keep their watercraft in pristine condition, but they don’t necessarily want to spend time cleaning and detailing their boats. They’d rather be out on the water, enjoying their boat, than at the dock making sure it looks nice. Boat cleaning businesses provide cleaning and detailing services for boats, so that boat owners don’t have to wash their boats themselves. In order to attract as many customers as possible, most businesses clean all types of watercraft. Anyone who enjoys being outside and working with their hands may like running a boat cleaning service business. Cleaning boats is manual work, and it’s often done at docks where there’s little protection from the elements. This is a business that can be started while working another job full-time. Business owners can begin by cleaning boats in evenings and on weekends, when they aren’t working elsewhere. Once their business grows to support a full-time salary, they can then transition from their current job to cleaning boats full-time. What happens during a typical day at a boat cleaning service? When not cleaning boats, business owners order supplies, schedule cleanings, bill customers and market their business. A boat cleaning service business’ ideal customer is someone who owns a large boat that they’re particular about. Such a boat owner will likely be willing to pay well to have their boat cleaned, and they’ll probably be able to afford a cleaning service if they can afford a large boat. Additionally, they will be more likely to hire a cleaning service than clean their boat themselves, because cleaning a large boat takes longer than cleaning a smaller watercraft. How does a boat cleaning service make money? A boat cleaning service business makes money by charging for boat cleaning and detailing services. While business owners may consider their desired hourly rate when setting prices, most businesses don’t bill by the hour. Instead, they offer cleaning packages for set fees. For example, Yolo Yacht Services offers two basic packages and also charges extra for additional services. Similarly, Miami Boat Cleaning provides quotes based on the size of a boat and the type of cleaning services requested. What is the growth potential for a boat cleaning service? Boat cleaning service businesses may have a single location that serves just one area, or they may grow to have multiple locations across the country. Boat Bathers in Chicago is an example of a business that serves one area. Pro Boat Clean, on the other hand, has franchise locations in the United States and Canada. What are some skills and experiences that will help you build a successful boat cleaning service? Business owners may also want to purchase a reference book that they can refer to after their training is completed. Boat Cleaning and Detailing, and Boat Detailing Guide are two titles that cover cleaning boats. Finally, business owners should also familiarize themselves with the business aspects of running a boat cleaning business. Start Your Own Boat Detailing Business and How to Start a Boat Cleaning Business are two books that cover business-related topics (as opposed to cleaning techniques). Aspiring business owners who want to save money on training may want to spend a season working for a boat cleaning business. During this time, you can learn how to clean and detail boats, and you also may pick up some inside secrets on running a boat cleaning business. What are the costs involved in opening a boat cleaning service? Business owners will need a workboat so they can access the hulls of boats that are in the water. A vehicle and trailer will also be needed to transport the workboat and supplies to different sites. 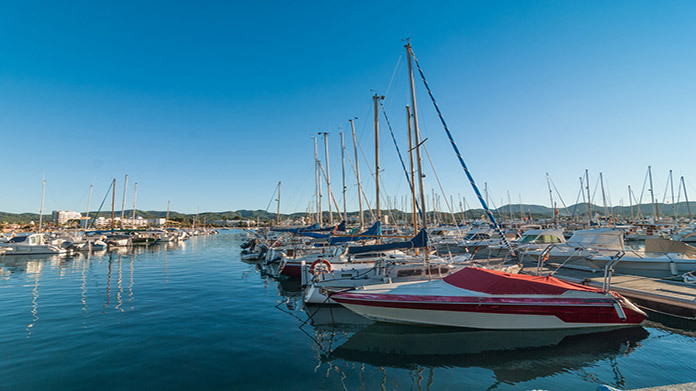 Businesses often service boats at different marinas, and driving between marinas is often more fuel-efficient and takes less time than going between them by boat. Business owners who want to keep their startup expenses as low as possible can begin by using their own vehicle and purchasing an old, used workboat. A workboat doesn’t need to be fancy or even very seaworthy, since it’s generally kept in or around marinas. Any old, small boat will be fine as long as it’s stable, doesn’t leak and has a small motor. Franchises are available for business owners who would prefer to purchase a franchise. They tend to be much more expensive than simply purchasing cleaning supplies and an old boat is, though. For instance, Super Clean Yacht Service Franchising Inc. charges between $12,700 and $50,800 for new franchises. What are the steps to start a boat cleaning service? Form a legal entity. Establishing a legal business entity prevents you from being personally liable if your boat cleaning service is sued. Open a business bank account. A dedicated checking account for your boat cleaning service keeps your finances organized and makes your business appear more professional to your customers. What are some insider tips for jump starting a boat cleaning service? 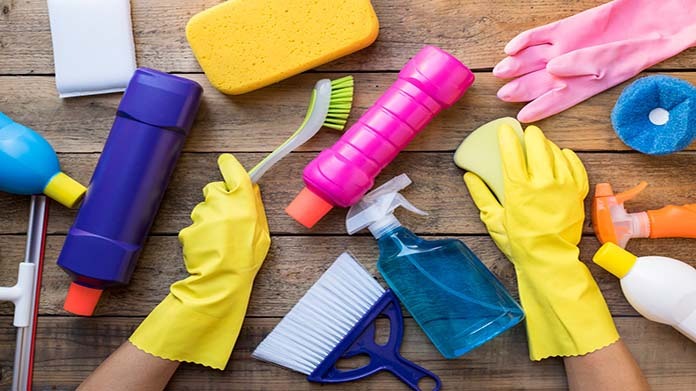 When starting a boat cleaning service business, it’s important to carefully select the right cleaning supplies. They should be effective, so boats can be cleaned as quickly as possible. They also, however, need to be environmentally friendly because they’ll inevitably end up in the water. All supplies that are used on the exterior of boats should be biodegradable, at the very least. 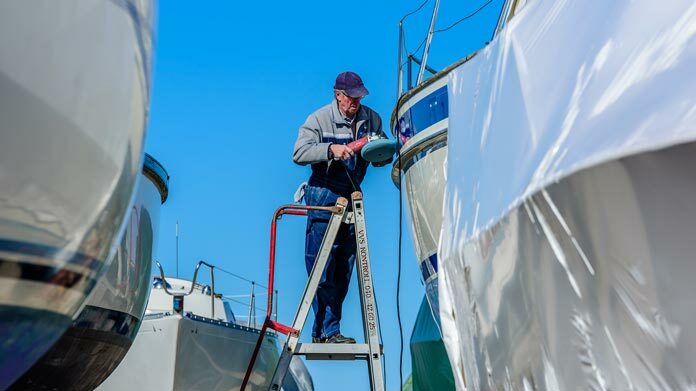 Yacht clubs and marinas are some of the most effective places to advertise a boat cleaning service business. Simply putting up flyers will frequently result in a few customers, who can provide referrals to other boaters they know. A boat cleaning service business can set itself apart from similar businesses in the area by offering quality service at an affordable price. Underbidding other businesses will frequently attract customers, as many boaters are careful about how much they spend on their boats. 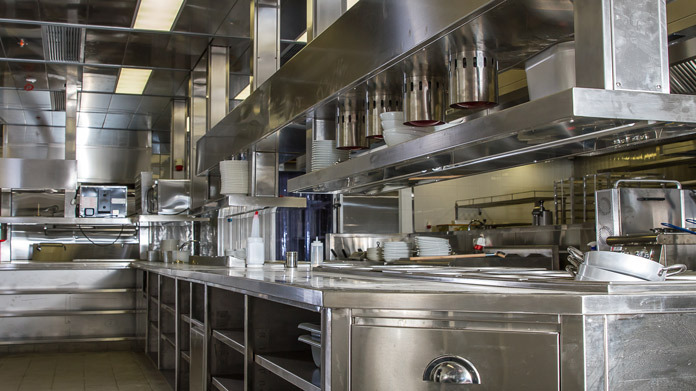 As long as the service provided is professional, customers will likely call to schedule more cleanings in the future. 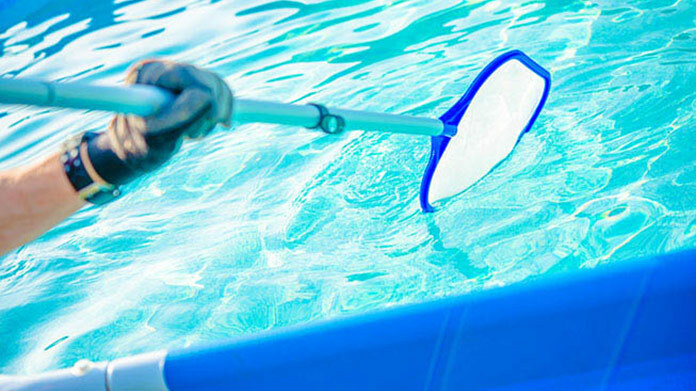 A boat cleaning business can be run as a one-person operation, or it may employ a small team. Most business owners start out cleaning boats themselves and hire employees as their business grows. Certain state permits and licenses may be needed to operate a boat cleaning service. Learn more about licensing requirements in your state by visiting SBA’s reference to state licenses and permits. In businesses where services are provided on an extended basis, a services contract is often put in place outlining terms and conditions of service. You may wish to require clients to sign a services agreement before starting a new project. This agreement clarifies client expectations and minimizes risk of legal disputes by setting out payment terms and conditions, and service level expectations. Here is an example of one such services agreement. Recommended: Rocket Lawyer makes it easy to create a professional service agreement for your boat cleaning business when you sign up for their premium membership. For $39.95 per month, members receive access to hundreds of legal agreements and on call attorneys to get complimentary legal advice. A boat cleaning service can be run out of a storefront or small office. Businesses operating out of a physical location typically require a Certificate of Occupancy (CO). A CO confirms that all building codes, zoning laws and government regulations have been met. Before leasing, confirm that your landlord has or can obtain a valid CO that is applicable to a boat cleaning service. 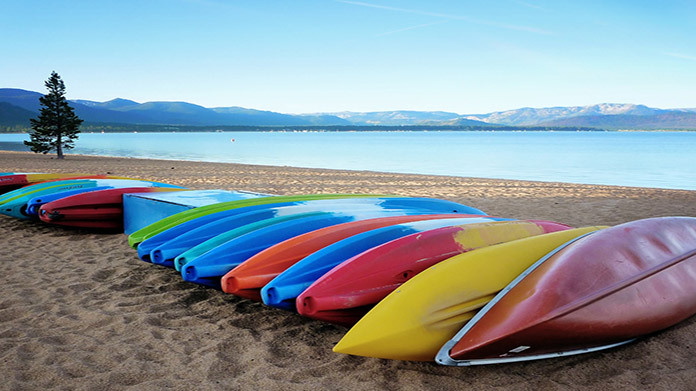 Review all building codes and zoning requirements for you business’ location to ensure your boat cleaning service will be in compliance and able to obtain a CO.
Boat cleaning rates vary depending on the size of a boat, the boat’s state and the services requested. Most businesses charge between $8 and $40 per foot. For instance, a 30-foot boat might cost between $240 and $1,200 to clean, depending on what was involved in the cleaning. What are the ongoing expenses for a boat cleaning service? 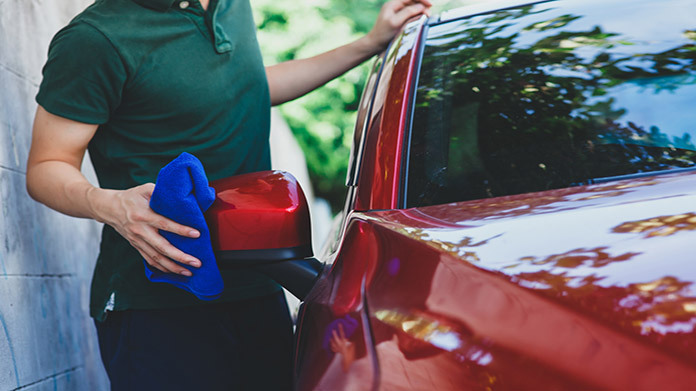 The ongoing expenses for a boat cleaning service business include fuel for a vehicle and workboat, and the cost of replacing used cleaning supplies. In most cases, these expenses are minimal. How much profit can a boat cleaning service make? A boat cleaning service business can earn several thousand dollars in a week during the peak season. Cleanings that cost a few hundred dollars typically take just part of a day, so it’s easy to clean many boats in a week. 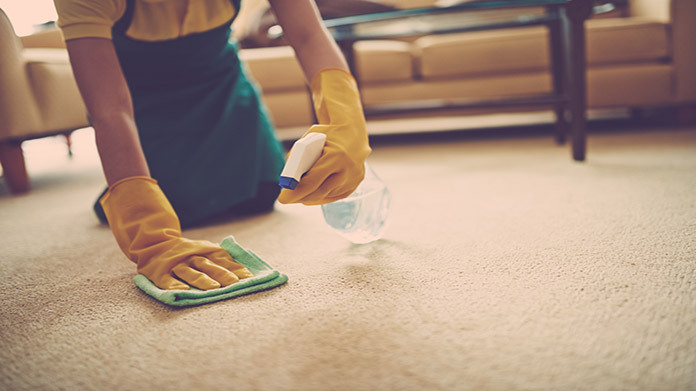 Cleanings that cost a few thousand dollars can usually also be done within a week at most. In the Northern United States, this is a highly seasonal business. 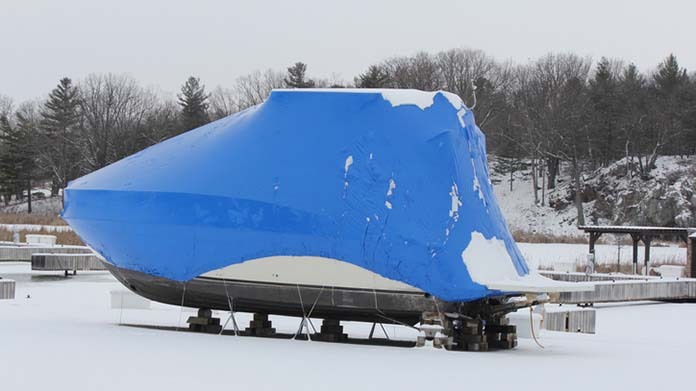 People only use their boats for a few months out of the year in colder climates. A boat detailing business can increase revenue by branching into auto detailing work. 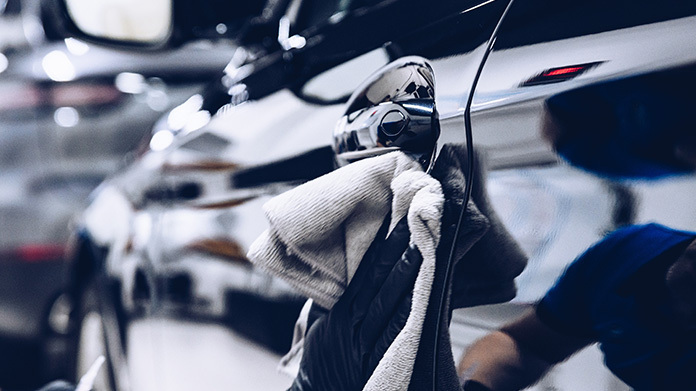 Auto detailing is similar to boat detailing, and boat cleaning businesses usually already have all the equipment that’s required. 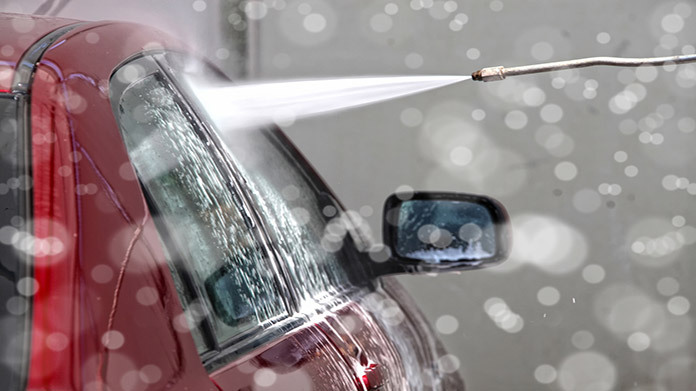 Auto detailing can also help a business survive the slower times of year when people aren't boating.